What began as a tiny corner behind the espresso bar in Upper Queen Anne Caffe Ladro is now a professional bakery with three large mixers, commercial ovens, and staff working round the clock. Located in Lower Queen Anne with the Caffe Ladro business office, the bakery provides pastries and treats to all 15 Ladro locations. 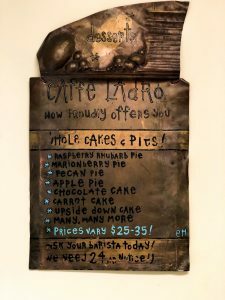 The first Ladro bakery in the Upper Queen Anne cafe supported both Upper and Lower Ladro pastry needs. When it supported one shop, it also offered weekend breakfast options. One of the first bakers was Melanie Bonnano. 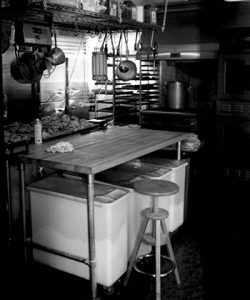 She fondly remembers twilight hours spent in the tiny Upper kitchen with early ninety’s music to keep her company while she prepared doughs and batters. When partners, Kelly and Ohly, decided to expand with a third café in West Seattle, they sought a space that could serve as a cafe and as a bakery. They wanted a baking space with room for company growth. They hoped to build a Ladro bakery that would support seven cafes. The West Seattle space, attached to the West Seattle Caffe Ladro met their specifications. Since the addition of an assigned bakery space, the Ladro Bakery has run 24/7. 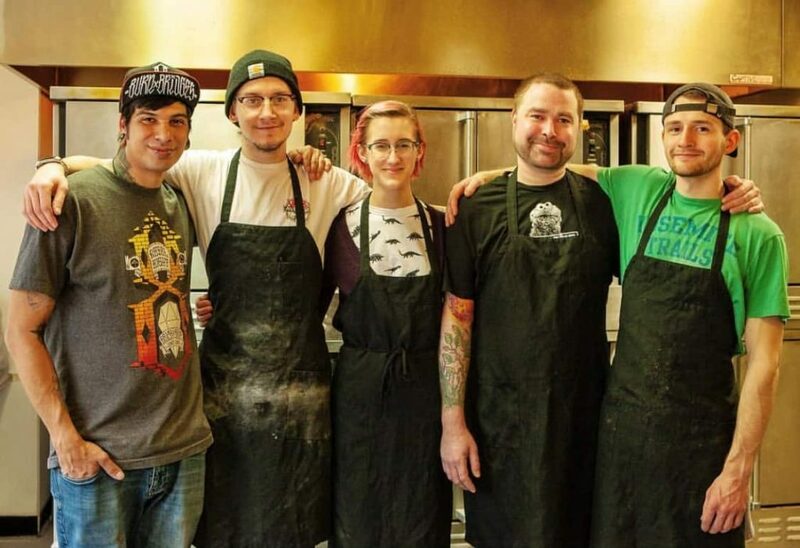 The West Seattle bakery supported Ten locations when Ladro decided it couldn’t support another. 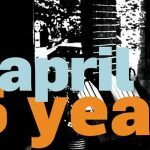 In 2006, it moved to a larger baking space in Lower Queen Anne to keep up with the demands of that growth. Having that baking space attached to the company business office has made recipe testing much easier. Though recipes come and go, some items carry fond memories. Ladro still gets requests to bring the Cardamom Coffee Cake back. Some long-time customers (and staff) wax sentimental about the deep-dish pies it used to offer. 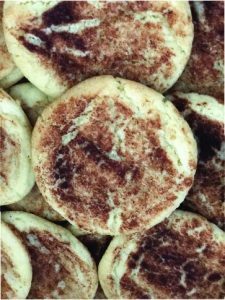 This week, to celebrate the company’s impending 25th anniversary, customers can enjoy the throw-back flavor of Ladro’s Snickerdoodle Cookie. The management team thought offering an original menu item would be fun for the long-time customers, and an easy like for people just finding a community at Ladro. Fresh, local ingredients continue to be mainstays for the bakery. Their bakers peel every apple that is then sliced into the Apple Galettes served in stores. Their granola recipe stands the test of time—as does the recipe for butterhorns. Over the years, the Ladro bakery drew a variety of bakers and drivers. If you’re a Seattle foodie, you might have encountered some of these talented people. Jamie Irene, now at Bateau, managed the bakery when she hired Mike Easton as a baker. Mike Easton managed the Ladro Bakery for a time. He created the single-serving quiche concept Ladro bakes and serves daily. Easton later established Il Corvo in Pioneer Square. He and his wife, Victoria, are building the much anticipated Il Nido in West Seattle. The current bakery team is led by Manager, Elton Polak with lead bakers Paige Schaffer and Jeff Bowers. Bakers work on three different shifts providing well-crafted baked goods for all Ladro cafes. Items are delivered in the wee-hours of the morning to ensure freshness each morning. The bakery team works constantly to develop new recipes like the Vegan Chocolate Bread and the Rum-Soaked Almond Croissant customers can find in stores now. 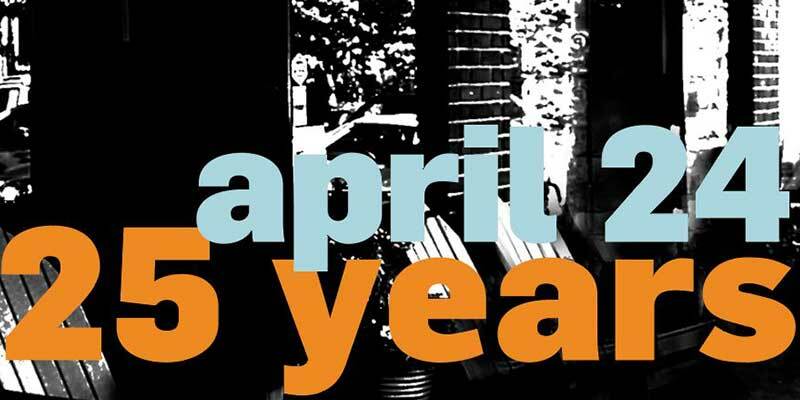 The entire Ladro team hopes you visit this spring as they celebrate customers old and new with flavors, coffees, and kindness that create a community at each location. Since our team works three shifts, it is difficult to get a picture of everyone. Here you see Manager Elton, Chad, Krista, Lead Jeff, and Damian.